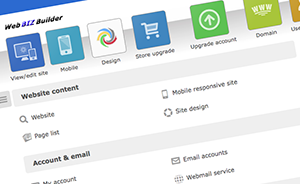 Build your website in minutes using our powerful website editor. Deliver your message to customers by simply entering text. 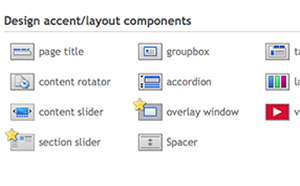 Drop images and insert forms wherever you'd like on the page with just a few clicks. When using this platform it's easy to update your message regularly to keep your website fresh. 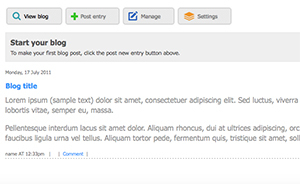 Communicate with your customers and drive new traffic with our integrated blog platform. Our blogging platform includes integrated support for social networking, making it easy for your visitors to share your blog posts with their friends and followers. Reach you customers at all times using our mobile site feature. 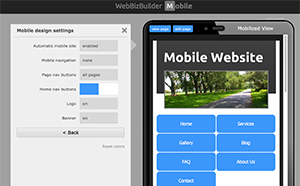 Select the option within the website editor to enable your mobile site and you will have your mobile site up and running in an instant. Further customization of the mobile version is available.